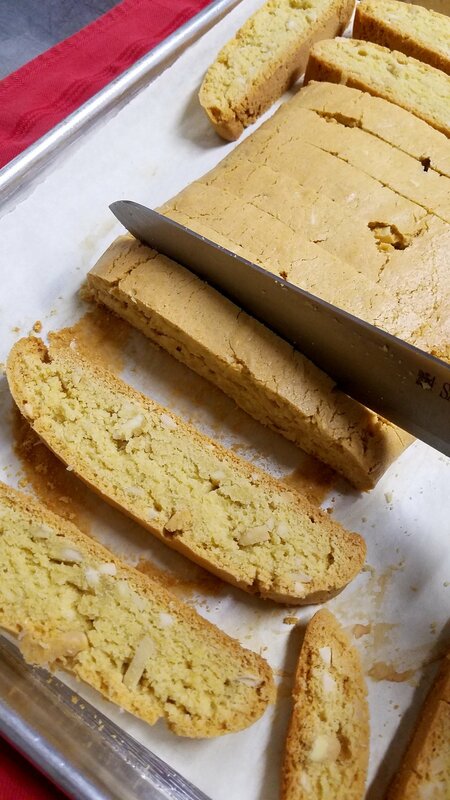 Almond Biscotti - These biscotti have a nice crunchy(not hard) texture and are really delicious by themselves or dipped in coffee. For the most part I made them with almonds but you could substitute a different kind of nut. I also used to put chocolate chips in place of or with the nuts. During the holidays I would crush up peppermint candies(omit the cinnamon) and put them in place of the nuts. When cooled, you can also dip any of the combinations in white or dark chocolate. The peppermint ones were my favorite like this! So yummy! You can also make them in any size you would like. Just make sure to adjust the baking time:) Enjoy! 2. 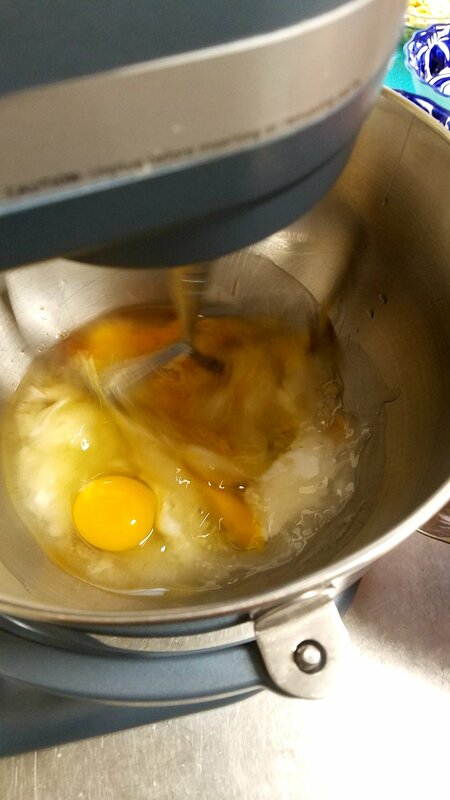 In a separate bowl mix together the flour, baking powder and baking soda. 3. 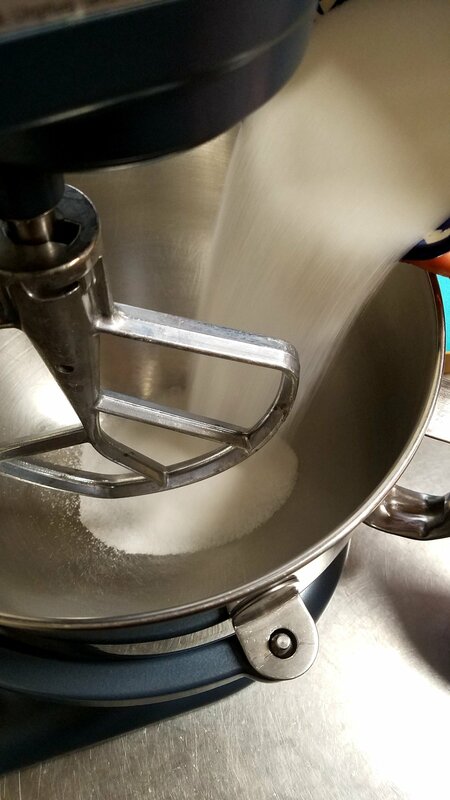 With the mixer on low add flour mixture slowly. Mix until combined. It will be very thick. 4. Mix in almonds until combined. 5. 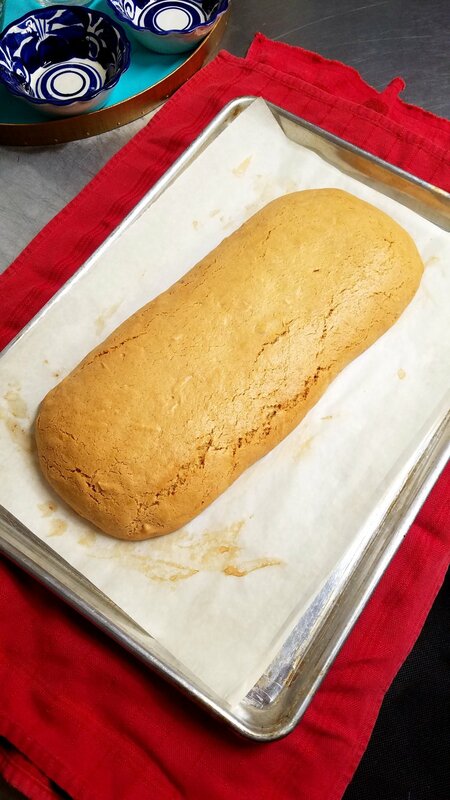 On a parchment paper lined baking sheet spread dough out to about a 14" by 5" piece. 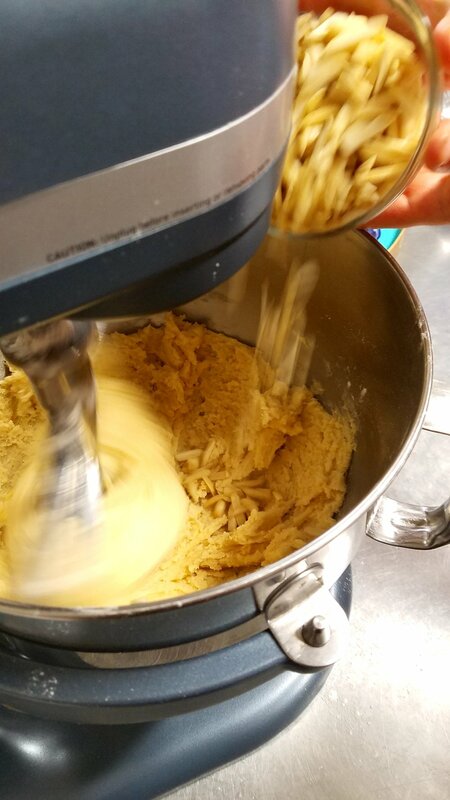 The dough will be quite sticky. 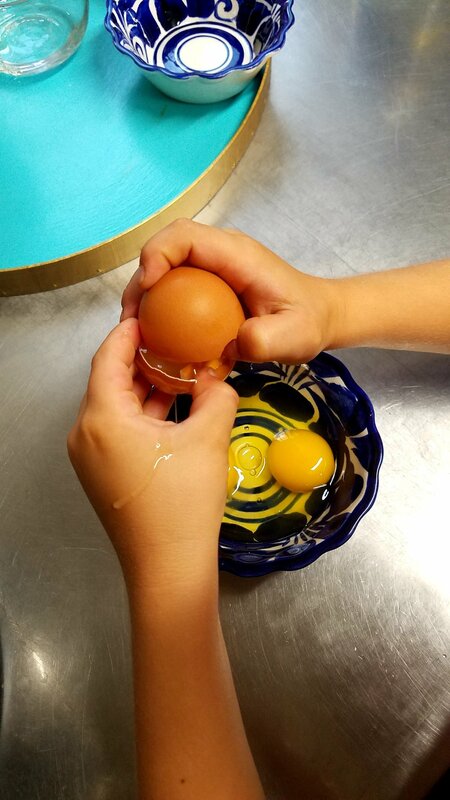 Lightly wet your hands when needed to form and smooth it. 6. In a 350 degree oven bake the biscotti for approx 25 to 30 min or until golden and firm to the touch. 7. 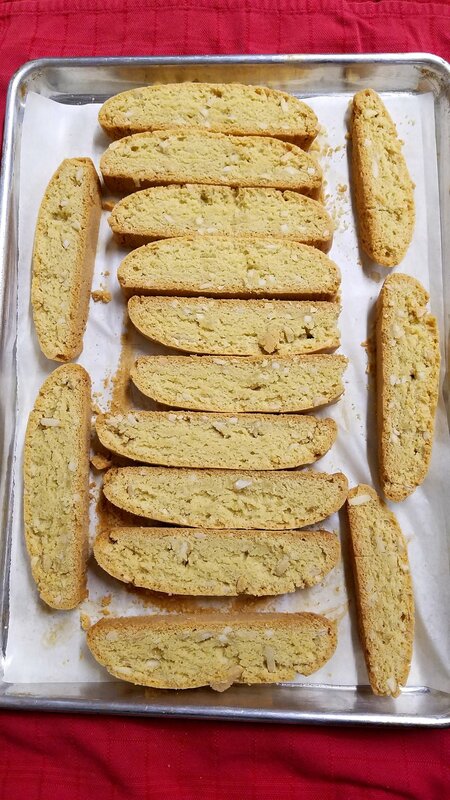 When done, take the biscotti out of the oven and immediately cut into approx 1" pieces. Use a big knife with a straight edge. 8. Turn each piece on it's side and sprinkle with the cinnamon and sugar mixture. 9. Return to the oven and bake for approx 10 min. 10. Sit. Sip. Dip. Eat. Buon Appetito! And remember they also go good with wine! A big thanks to my son for helping me make these cookies and take pictures!